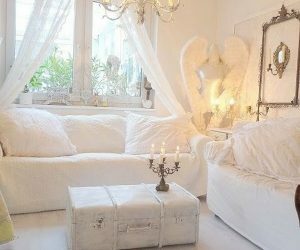 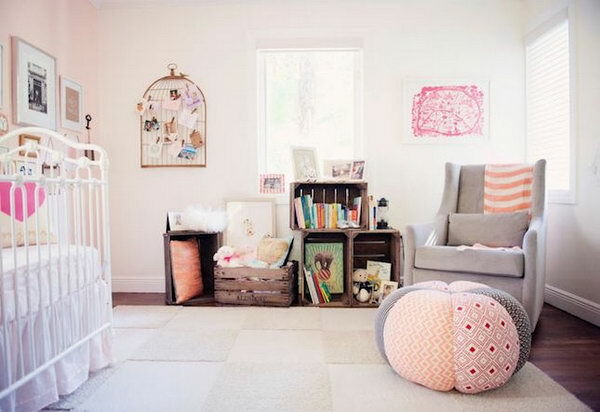 Children’s rooms are typically smaller than a master bedroom but have to serve as a playroom, place to sleep, study area and a room to hang out in with friends. 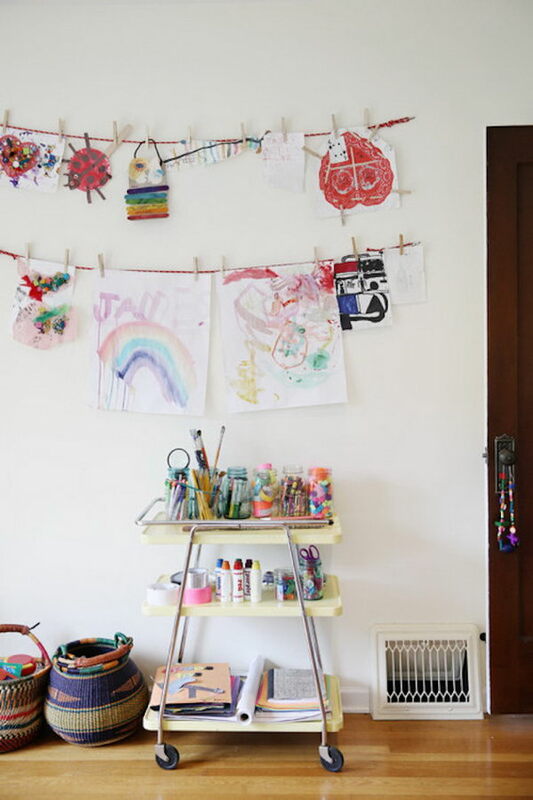 They are usually a mess of broken toys, working toys, clothing, storybooks and miscellaneous odds and ends. 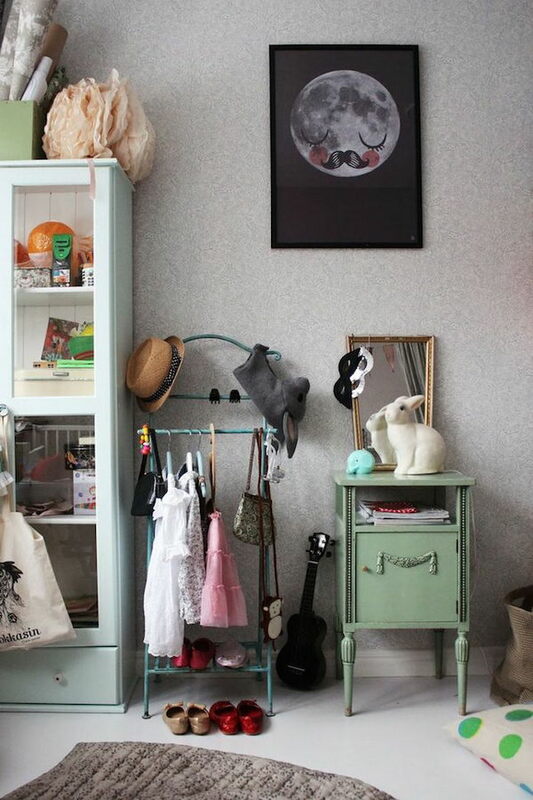 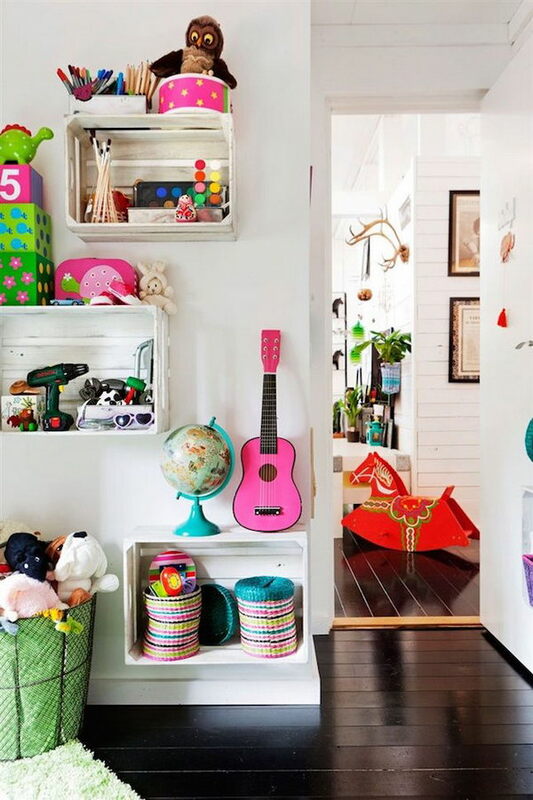 As your children grow, they inherit even more items and secondhand toys and lack the room to store everything. 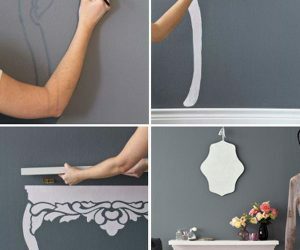 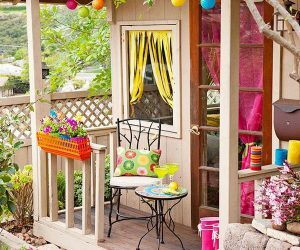 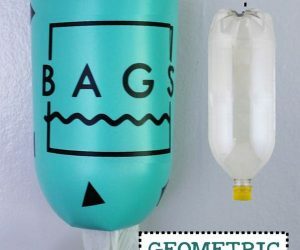 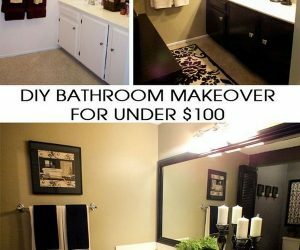 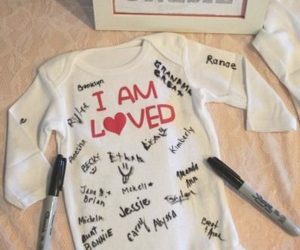 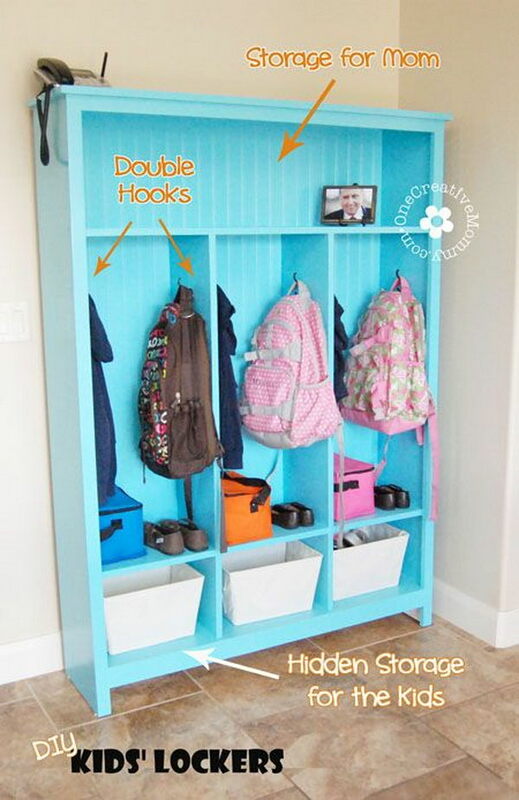 It is very necessary and advisable for you to create some functional and inexpensive storage solutions for your kid’s room. 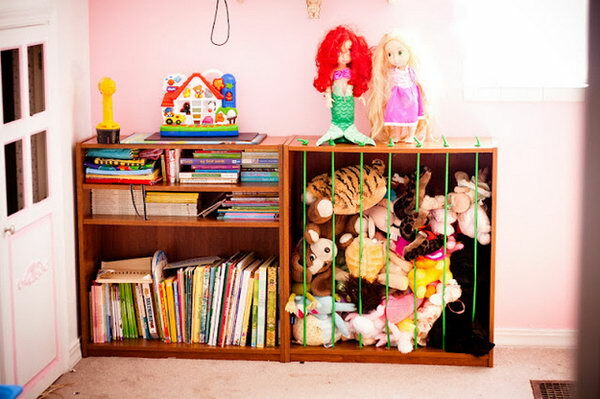 Organizing the kids’ rooms can be such a time-consuming task and needs more patience, especially when your kids have more toys than you have storage space. 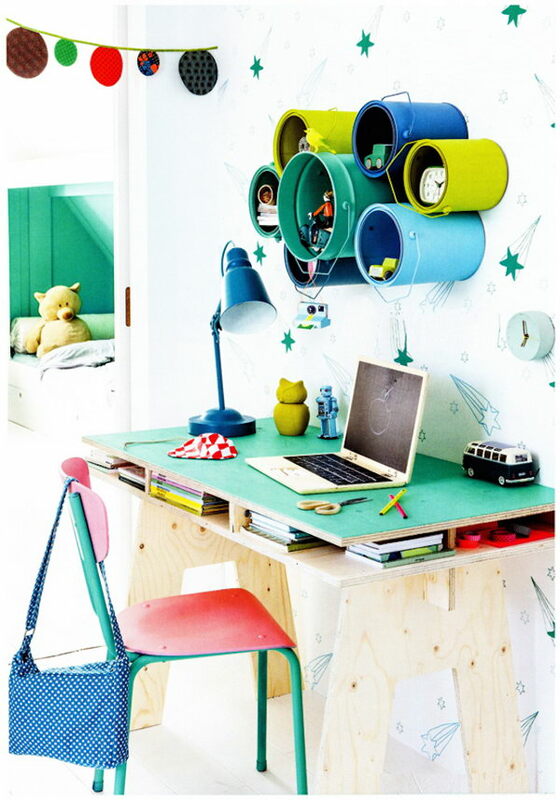 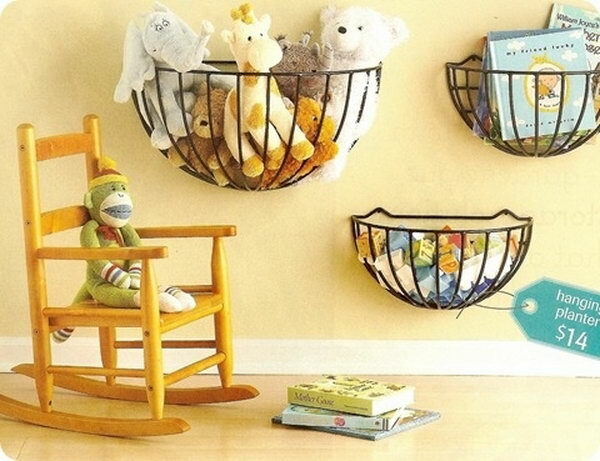 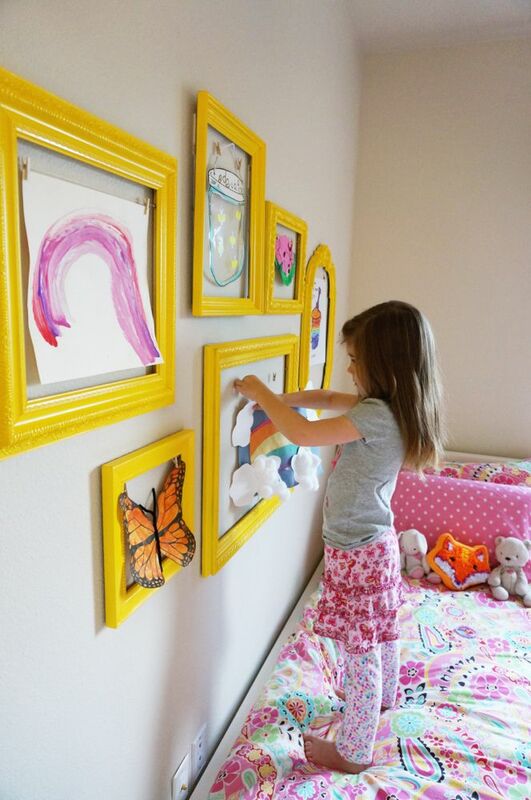 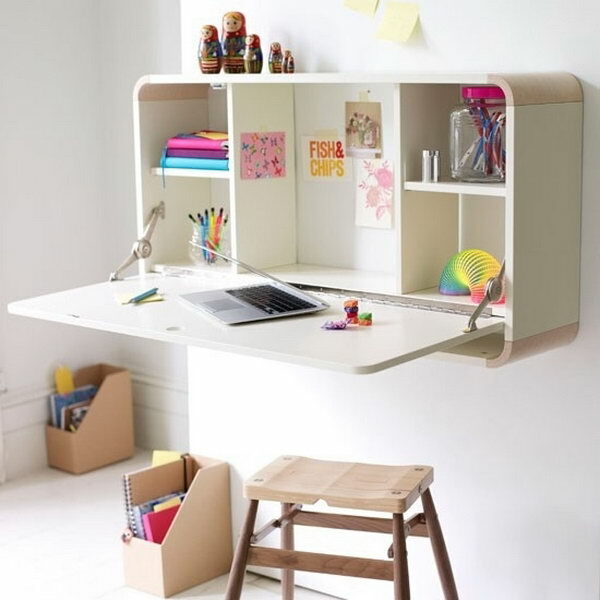 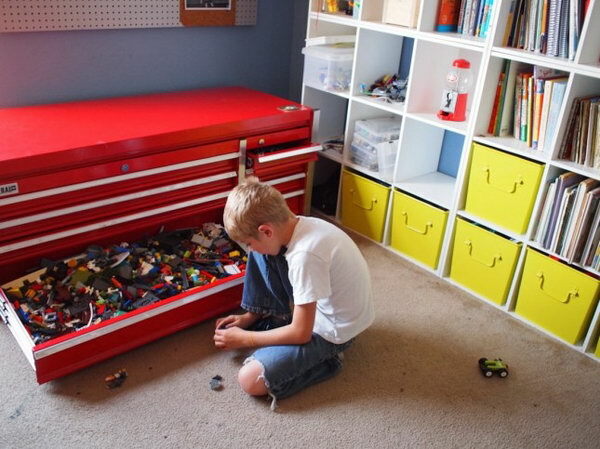 Here we have collected a list of creative DIY storage ideas to organize kids’ room for your inspiration. 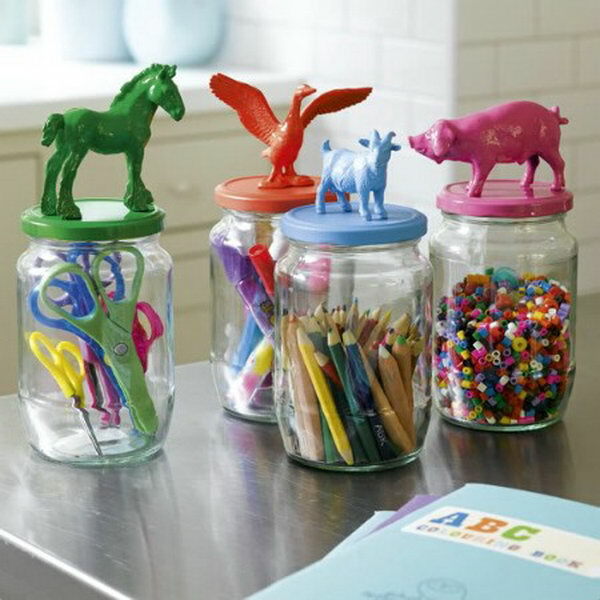 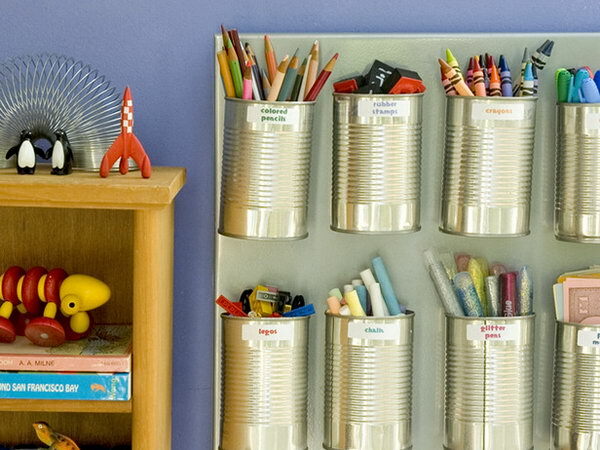 For example, mason jars or recycled tin cans can be used to store crayons, scissors and little toys. 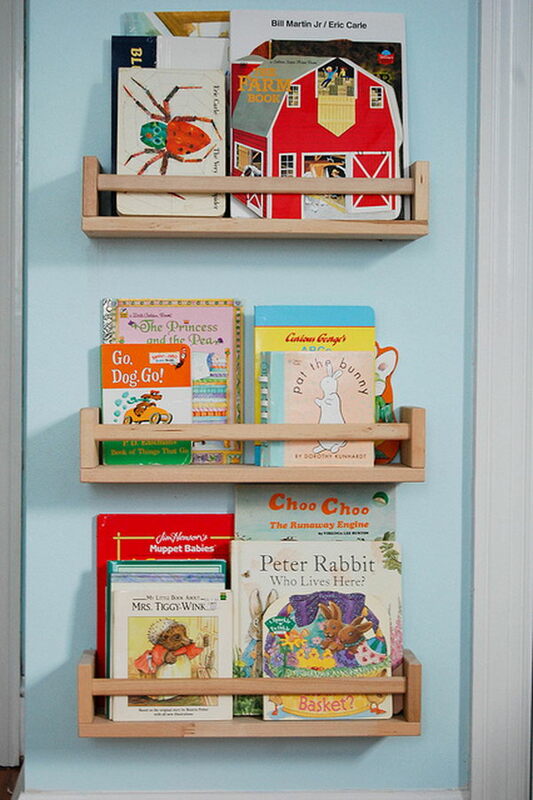 DIY wood shelves are perfect for the storage of books. 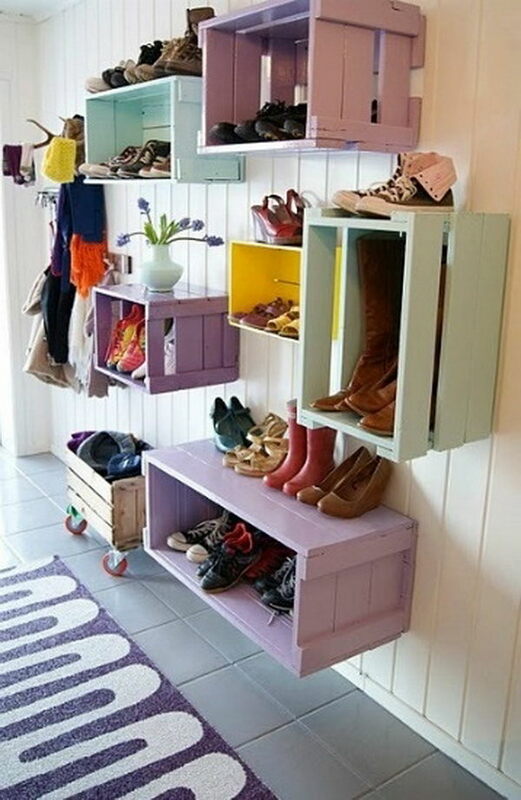 Crates to the wall are used to store shoes. 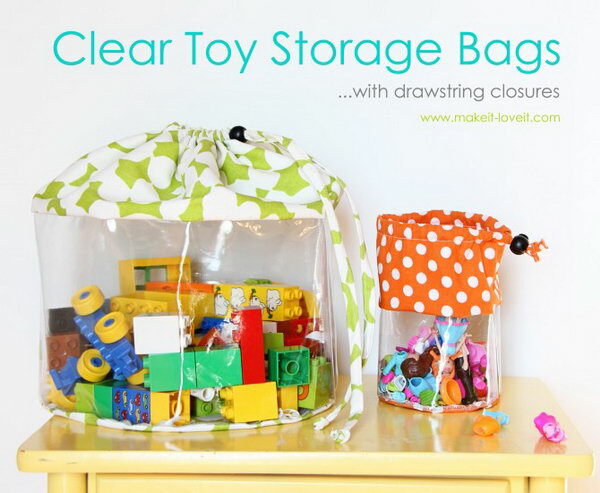 Hanging bags or nets are for wrangling stuffed animals. 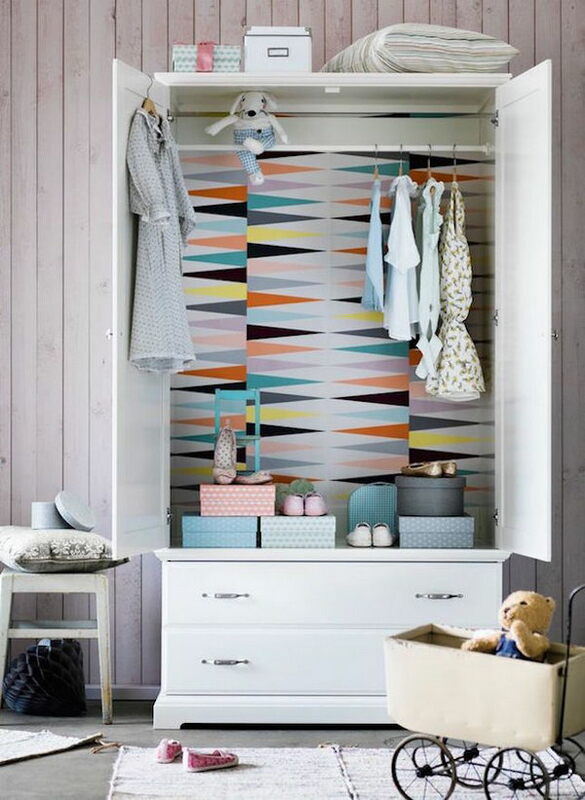 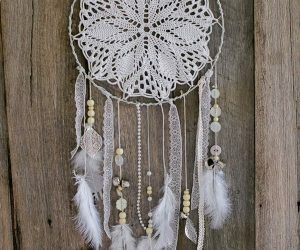 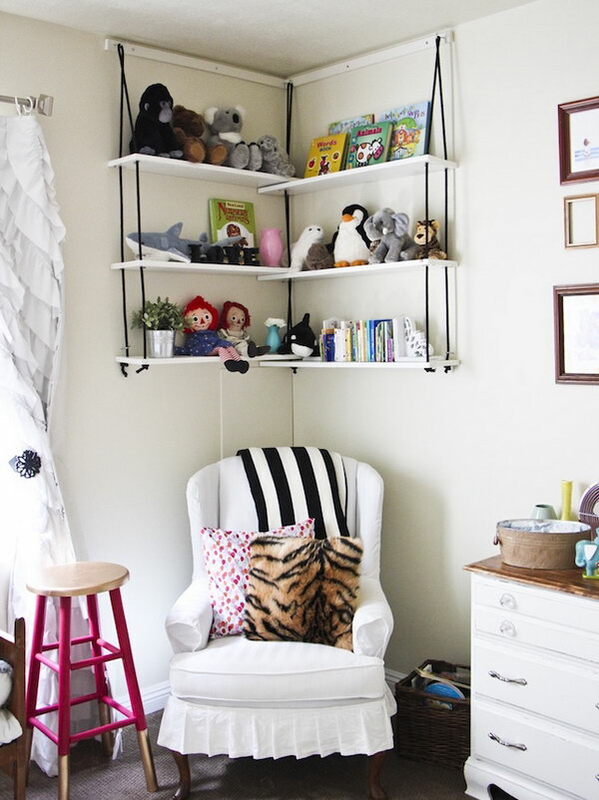 There are tons of creative ideas for kid’s room storage in this collection from books to baby dolls and stuffed animals to clothing, which are sure to help you to get those kids’ rooms tidy once and for all. 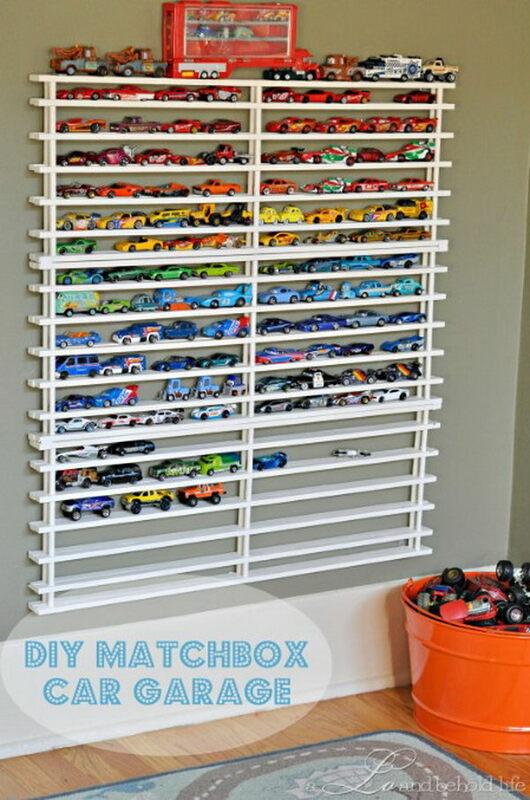 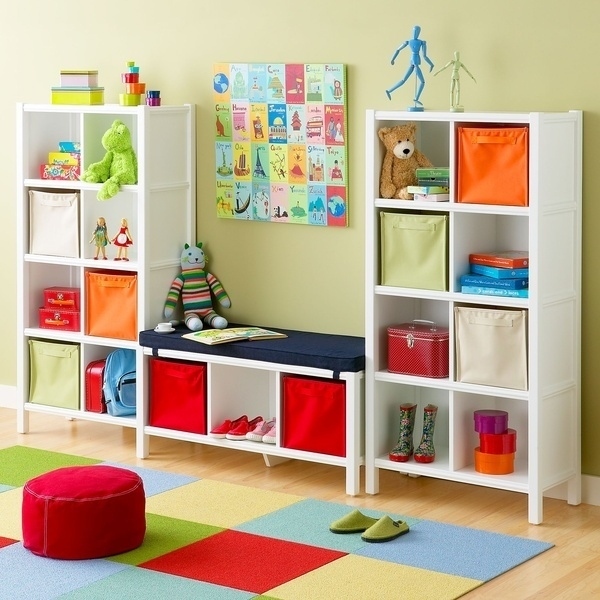 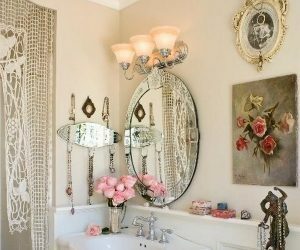 Let’s get started and get those playrooms and bedrooms organized. 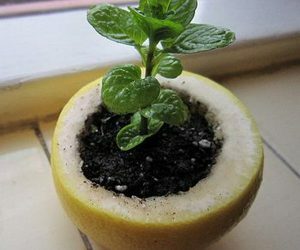 You can the turorial here.